Purpose: In this tutorial we consider the X-ray absorption near-edge structure (XANES) spectra of core-states by solving the Bethe-Salpeter equation (BSE). 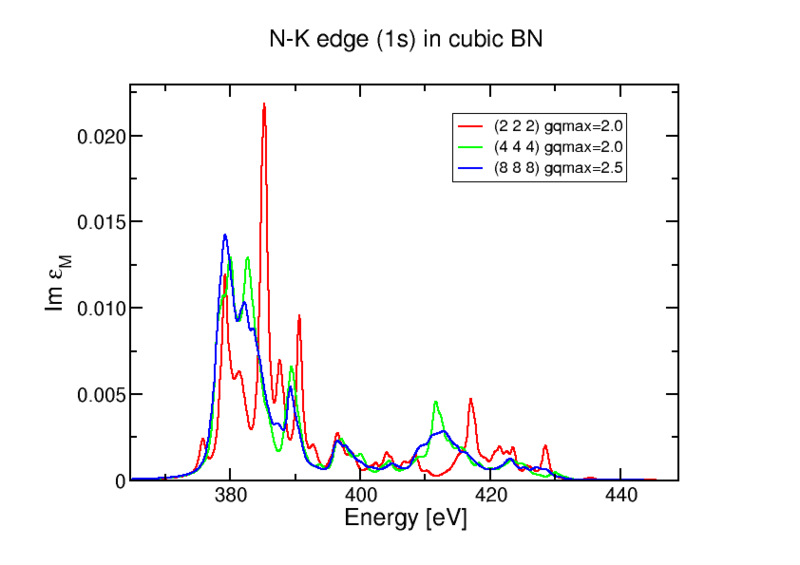 The general way to set up the BSE computations for XANES in exciting is shown, together with examples for the Li-K edge in lithium fluoride and N-K edge in cubic boron nitride. The 1s state corresponds to the K edge in spectroscopic notation. In order to solve the BSE, we first need eigenenergies and wave functions from a ground-state calculation as input. In the present methodology the core-edge of interest must be in the valence or otherwise set as a local orbital, and not core state. If the corresponding core-edge state is not in the valence and not already set as a local orbital, it is possible to do so by hand. This procedure will be shown explicitly in the example for the N-K edge in cubic BN further down below. A description of basic setup and parameters can be found in Excited States From TDDFT. Further, all the input parameters are described in Input Reference. Observe that for production results the X-ray absorption spectra need to be converged regarding several parameters such as the k-mesh, see Excited States From TDDFT. The EXCITINGROOT variable has to be replaced in the subsequent input files by its actual value (the path itself, e.g., /home/user/exciting). Note that core="false". This means that we don't need to include any new local orbital, and we can directly use the Li species file EXCITINGROOT/species/Li.xml. ngridq="2 2 2" ngridk="2 2 2"
vkloff="0.05 0.15 0.25" nempty="20" lmaxapwwf="3"
nstlbsemat and nstlbse in <BSE> give the band ranges for the computation of the matrix elements and for diagonalizing the Hamiltionian matrix, respectively. Here the band ranges are set to "1 1 1 15", where the first part, 1 1, refers to the core-edge state as shown, e.g., in the ground-state output EIGVAL.OUT and the second part, 1 15, gives the conduction states counted from the Fermi level. bsetype="singlet" in <BSE> corresponds to including all terms in the effective Hamiltonian (diagonal, direct and exchange). bsetype="RPA" gives the random phase approximation, which does not include the direct term and, therefore, does not give rise to bound core-exciton states. This is useful for instance when computing a different bsetype afterwards, such as bsetype="RPA", or when changing the band ranges for the Hamiltonian diagonalization, e.g., nstlbse="1 1 1 25". Note that the present way of performing this setup might change in future versions of the code. INFOXS.OUT shows the general messages for the calculation procedure. The absorption spectra is given in EPSILON_BSEsinglet_SCRfull_OC11.OUT, with a Lorentzian broadening broad defined in <energywindow> in <xs>. The energy and oscillation strength of the excited states are listed in EXCITON_BSEsinglet_SCRfull_OC11.OUT, where negative energies correspond to bound core-excitons. BSE calculations for the Li-K edge bsetype="singlet". Plot the absorption spectra, e.g. using EPSILON_BSEsinglet_SCRfull_OC11.OUT.xml. Check after bound core-exciton states in EXCITON_BSEsinglet_SCRfull_OC11.OUT. Plot RPA absorption spectra, e.g. using EPSILON_BSERPA_SCRfull_OC11.OUT.xml and compare with BSE. Use a denser mesh for the BSE (singlet) calculations ngridq="4 4 4" ngridk="4 4 4". <groundstate gmaxvr="14.0" ngridk="4 4 4"
In order to perform the BSE calculations, we must include N 1s as a local orbital. First, we need to estimate the energy location of the state in order to make a good guess for the local orbital trial energy. This is done by a regular ground-state calculation using the species file EXCITINGROOT/species/N_APWloLegacy.xml. Now we will make a separate ground-state calculation, including the local orbital. Copy the input.xml file and the EXCITINGROOT/species/N_APWloLegacy.xml to a new working directory. It's useful to change the name of the species file to, e.g., N_APWloLegacy_XANES.xml to not confuse it with others. In the new species file N_APWloLegacy_XANES.xml, remove the core-edge state from the core by setting core="true" to "false"
The most important is to set a "good enough" trialEnergy in the last row, it is usually a bit lower than the result for the core-state. Here -13.5 Hartree is selected (compare with -13.31776506 Hartree from above). Do not forget to edit speciespath in the new input.xml. If calculations with a new local orbital does not converge, it might be necessary to set a different trialEnergy. Also, it might be necessary to explicitly set the parameters deband (increase default value) and epsband (decrease, if needed). See Input Reference for details. After a successful ground-state calculation including the new local orbital, it is time for considering the XANES computation. 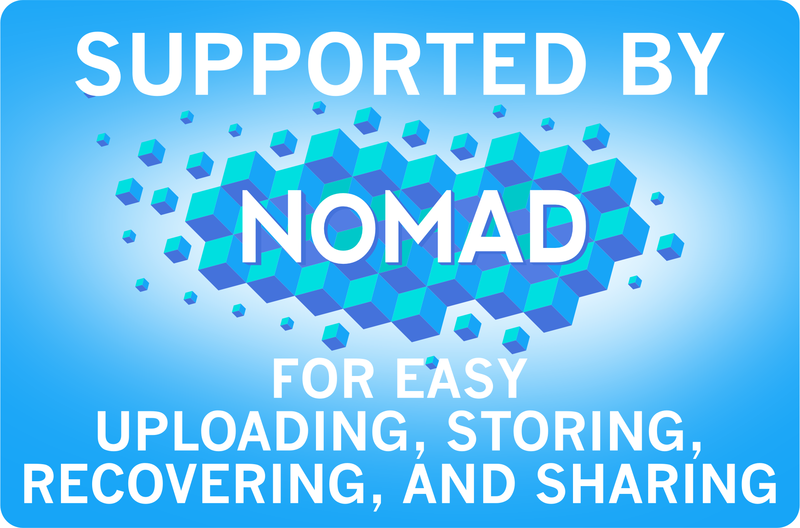 An example is given below for bsetype="singlet"
<xs xstype="BSE" nosym="true" ngridk="2 2 2" ngridq="2 2 2"
nempty="60" lmaxapwwf="5" lmaxemat="5" gqmax="2.0" broad="0.0183747"
A regular ground-state calculation for c-BN. Include the N 1s local orbital in a new ground-state calculation, compare EIGVAL.OUT. BSE calculation for the N-K edge bsetype="singlet". Check the sensitivity of the LiF and c-BN spectra to different parameters, e.g., conduction states (nstlbsemat and nstlbse). Calculate the boron-K edge in c-BN. Copy atom species files ending with _APWloLegacy.xml for including new local orbitals. If convergence problems, check trialEnergy in species file, deband and epsband in input.xml. Investigate the sensitivity of the spectra on the number of conduction states. For studying the very near-edge spectra, fewer conduction states are typically needed. For comparison with a low resolution experiment, a less dense mesh in <xs> could be sufficient. In general, BSE computations may be impractical for unit cells containing many atoms. Core-exciton binding energies are more difficult to converge than the general spectral shape. 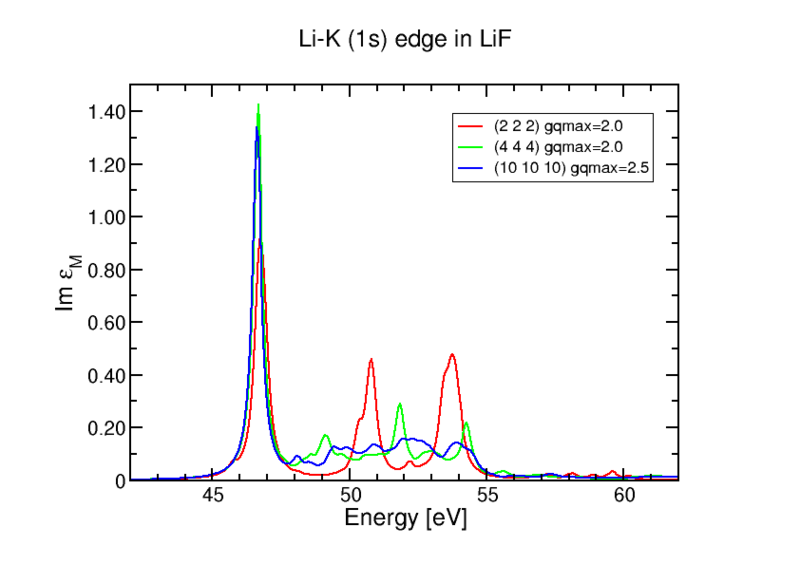 L2,3-edge (2p) spectra are more costly than K-edge (more core states included, larger matrix to diagonalize).